What Makes for a Severe Storm Warning? 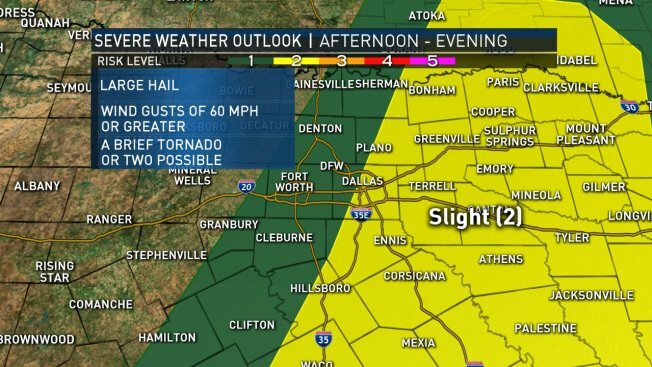 It has been a while since North Texans have seen severe weather in the area. The Storm Prediction Center has placed areas of North Texas under a risk for severe weather Tuesday evening. A cold front and dry line will merge, triggering storms. These values are based on the probability of a severe weather outbreak. Watches or warnings may be issued Tuesday. Remember, there are big differences between the two. Conditions are favorable for severe storm development. During a watch you need to watch and prepare for the weather. Severe storm has been reported or detected on radar. During a warning is when you need to take action. The NBC 5 Weather Experts will have you covered on air, on line & through social media. You can also download the NBC DFW App for automatic notifications for weather alerts in your area.